Native to India & Southeast Asia, Neem Oil (cold-pressed from the seeds of the Neem tree) is one of the oldest documented medicinal plants on the planet and has been used consistently to soothe common skin & scalp conditions. It takes approximately 4 lbs of Neem seeds to make 1 lb of concentrated oil. 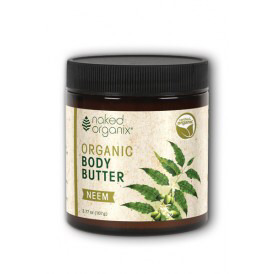 Naked Organix® Neem Body Butter offers a concentrated, plant-based formula to protect, repair and moisturize the face and body. 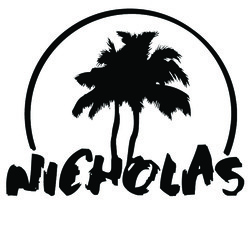 Hand-crafted in small batches and contains only the finest-quality certified-organic, wild-crafted ingredients. Ingredients: Butyrospermum Parkii (Shea Butter)*, Cocos Nucifera (Coconut) Oil*, Beeswax*, Calophyllum Inophyllum (Tamanu) Oil*, Theobroma Cacao (Cocoa) Seed Butter*, Simmondsia Chinensis (Jojoba) Seed Oil*, Ricinus Communis (Castor) Seed Oil*, Tocopherol (Vitamin E).